“You cannot come back to the EU” – words you never want to hear as a cruiser living in Europe. We knew we were one day over our 90 day visa limit when we booked a side trip to Turkey by ferry. 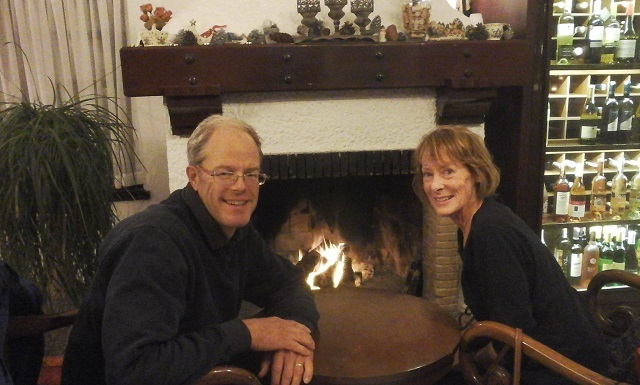 We never thought they would find the overage among a mess of passport stamps, in and out. Even if they did we never thought they would not want us here, being responsible visitors and spending money. It started innocently enough. Greece is a difficult place to find boat parts, while Marmaris, Turkey is excellent, both for name brand replacement parts as well as custom fabrication. With a window of time now available to get some much needed boat projects done we created our wish list and wrote out all the parts and supplies we would need for the projects. To source the items it seemed the easiest solution would be to take the ferry from Kos, Greece five miles across to Bodrum, Turkey, rent a car and drive the three hours to Marmaris, home to an amazing neighborhood of marine suppliers and chandlers. Having lived in Marmaris last winter we knew where to find most of what we needed. It was also an opportunity to reconnect with some friends who live in Marmaris. We got our on-line Turkish visa and off we went. When we arrived to clear customs at the Kos ferry dock we were nabbed for being in Greece 91 days, one day beyond the Schengen limit. Initially we were told we could not return to Greece. When we explained that our boat was there, they agreed that we could go to Turkey to get parts and return for the boat, but then must immediately leave again for a minimum of 90 days. After a few stressful moments we realized there was an opportunity here. We could return to Turkey for the next 90 days, have our suppliers right at hand, and as a bonus, have professional marine servicers right there to contract-out some of the work. Plus, our return to Turkey would allow us to reconnect with friends both on boats and living ashore. We rerouted our trip back to Greece through another island to keep a low profile, then packed up Quintessa and left Kos, heading to Turkey, for the unexpected stay. A challenge in the Greece (Schengen)-Turkey system is the 90 day limit each country allows within a 180 day period. An additional challenge is that each country counts both the day of arrival and day of departure. If you leave Greece and sail into Turkish waters the same day, the day is counted against you in both countries. It leaves many cruisers attempting to stay “under the radar” for a few days here and there until they can become legal gain. We had to deal with this as well. We are now in Turkey for three months and fully legal once again with our Turkish Visas. It does help one to understand how illegal immigrants feel, constantly looking over their shoulders. The positive side of all this is that we love Turkey. It is among our favorite cruising grounds of all places we have been. The coastline is rugged and pristine with crystal clear turquoise water. Bays that are quite crowded in the height of the summer tourist season are now nearly abandoned. Of course, now that we have all these supplies and contractors at our disposal, the wish list has grown in every dimension. We are now looking at some other boat projects like adding solar panels and overhauling the watermaker, but that’s for another blog. 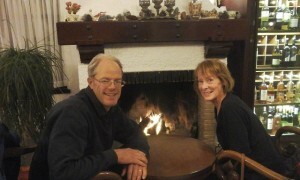 For now we are legal again and enjoying Turkey–hiding out in front of the fire!